Who can save the PUP? BELIZE CITY, Wed. Nov. 11, 2015–The Opposition People’s United Party (PUP) held a meeting of its executive at its Independence Hall headquarters this afternoon. This is the first post-election meeting of the party since the PUP’s resounding defeat at the polls in last Wednesday’s general elections, which resulted in the PUP leader, Francis Fonseca, announcing his resignation the following day, Thursday. The party began suffering a string of defeats at the polls, beginning from the March 2012 general elections, under Fonseca’s leadership. 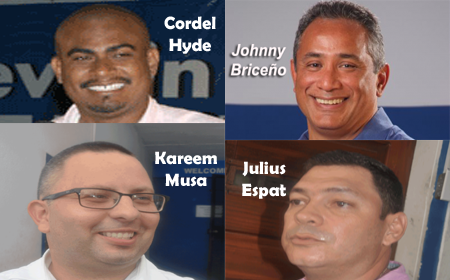 Since Fonseca’s announcement, however, a number of names have been mentioned as his possible replacement, an exercise that will culminate in the choosing of a fourth PUP leader with Johnny Briceño’s sudden resignation in October 2011. At today’s executive meeting, the PUP decided not to change its three senators — Lisa Shoman, Anthony Sylvestre and Jason Andrews. A date for the nomination of persons wishing to fill executive posts has been agreed to, as well as a date for its National Convention, when a new PUP leader will be elected from among delegates chosen from the 31 electoral constituencies. The PUP looks for 4th leader in 4 years! National Convention date set to elect new leader; senators remain. Usher informed that the date agreed for the PUP to hold its national convention will be Sunday, January 31, 2016. “We will have a deadline for nominations for the open post of December 15, 2015, and of course the deadline for the delegates’ list to come in around the same time. By the constitution, it has to be 30 days prior to the date of the National Convention,” Usher explained. “The last item on the agenda was the parliamentary appointments for the joint sitting of the House on Friday. The Hon. Francis Fonseca will continue to be the Leader of the Opposition in the House and the 3 senators that were nominated prior to the election will once again hold their post as senators in the joint sitting until we have a new leader in place,” Usher disclosed. When asked to weigh in on the transition, Usher said that he believes that the party will have a peaceful transition. A venue has not yet been decided for the convention, but Usher said that will be decided by December 15 when names of the delegates are submitted. Under the PUP amendment to its Constitution in 2010, something in the region of 2,973 delegates will cast votes in the National Convention, Usher revealed. Names that have been called as possible candidates for the PUP leader position are the freshman Caribbean Shores area representative, Hon. 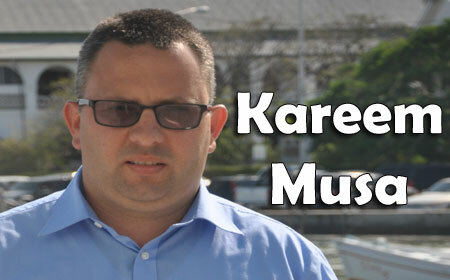 Kareem Musa, the son of the former PUP leader and two-term Prime Minister Rt. Hon. Said Musa, who defeated Belize City Mayor Darrell Bradley in Wednesday’s general elections; PUP deputy leader Hon. Julius Espat, the Cayo South area representative who has been elected for a second consecutive term; Hon. 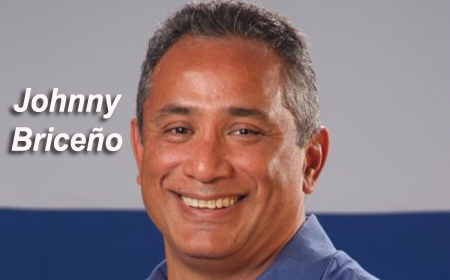 John Briceño, a former PUP leader who stepped down in late October 2011, citing personal reasons; and the returning Lake Independence area representative, Hon. 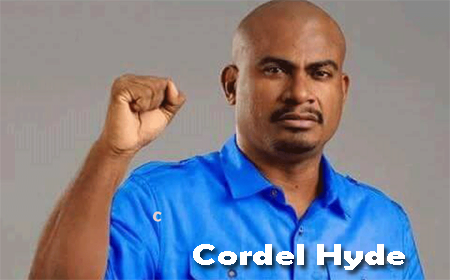 Cordel Hyde, who vanquished the UDP’s Mark King by 1,999 votes, the largest margin of victory for a PUP candidate. Hyde, who has never lost in Lake Independence, was reelected in three consecutive elections, but had to sit out the March 2012 elections on account of the illness and subsequent death of his son. The task ahead for the new PUP leader will be daunting: he will have to unify the ideological factions in a party that has been suffering defeat after defeat at the polls since 2006. Musa insisted that he has just been given the job to represent the Caribbean Shores, and that he is a new area representative who wants to give his constituency the best possible representation. Musa, however, would not divulge who he would like to see as PUP Leader. Hon. 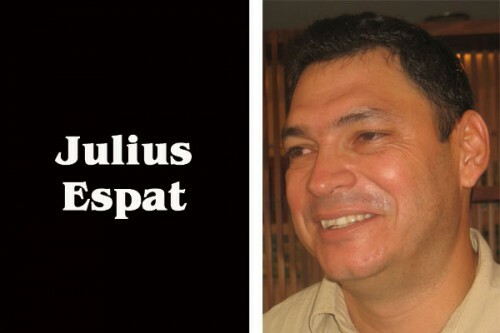 Julius Espat told reporters that, more than anything else, he would not like to be part of a movement that fractures the party. Espat said the PUP has to learn to fight machinery that has more money. “We have been able to do that in Cayo South, and some other constituencies have learnt to do that, but if the others don’t do that, they will never win,” he remarked. Espat said he has been loyal to two PUP leaders, John Briceño and Francis Fonseca, and he also commented that both Hon. Hyde and Hon. Briceño have the talent to lead the party. “I am more familiar with John Briceño because I worked under him, but Cordel has some incredible attributes that I think he can bring to the party. People have to decide who that leader is and I will be there; I will be there to do my part,” Espat declared. Unlike the other PUP leaders who made statements to the media after the PUP executive meeting was concluded, the Orange Walk Central area representative Hon. John Briceño declined to give reporters an interview when he exited Independence Hall. Hon. Cordel Hyde told KREM News and Channel 5 News that he has been receiving a lot of calls of support from PUP faithful from all across the country, and that a bid for the PUP leader post is something he is definitely considering. “I can tell you that we’re seriously considering it at this moment. We’re talking to a lot of people. It’s a big deal, but it’s one we’re taking very seriously,” Hyde said. Hyde explained that financing the party to pay its bills every month and finding the money to secure the resources and machinery to win elections, is the “big gorilla” in the room. “I’ve always been the personality that’s been focused on social justice, focused on providing policies that will benefit the vast majority of the people. That has not necessarily endeared me to many of the financiers, that’s a given. But the truth of the matter is we will never have more money than the winning party,” Hyde expressed. “I think we have to do it the old fashion way,” he said. “We have to give back the party to the people. We have to ensure that people have a stake in this. We have to get back to selling our barbeque, selling our turkey dinner, and having people who are willing to contribute a $5 a month do that,” Hyde explained. “I’ve never had more money than my opponent in Lake Independence. It’s just that we have to reproduce that across the country,” Hyde said.